UFC 230 - This Time We're Being Serious Guys. Honestly. UFC 230 – This Time We’re Being Serious Guys. Honestly. What a week folks. With the madness of UFC 229 still lingering, UFC 230 decided to up its game in the headline race. Now, finally, we have a main event for UFC 230. No, it isn’t Valentina Shevchenko vs Sijara Eubanks for the vacant flyweight title, rendering an article I wrote last week pointless. (Although frankly I’ve never been happier to have wasted my time). 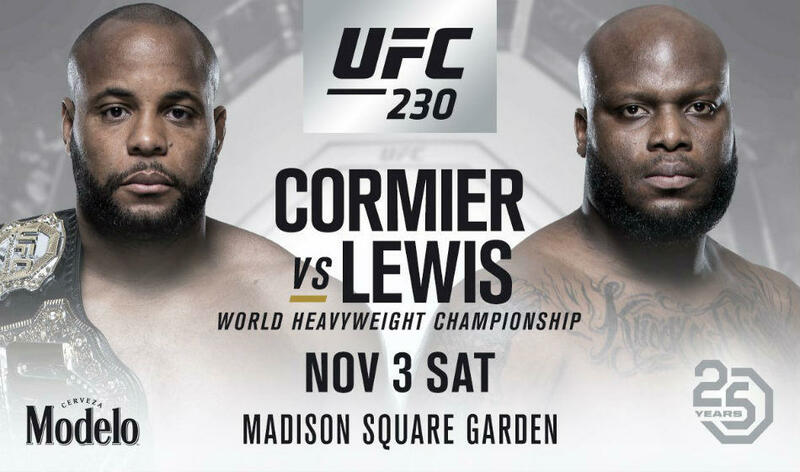 Now Madison Square Garden will host Daniel Cormier as he takes on Derrick Lewis for the UFC Heavyweight Championship, all because a man’s balls were hot. Derrick Lewis could be considered one of the breakout stars of UFC 229, as much as someone could have broken out from the mess. After a stunning come from behind knockout of Alexander Volkov, the “Black Beast” proceeded to take his shorts off in the octagon. Naturally, Joe Rogan questioned him about this, “why did you take your pants off” he asked. Derrick responded, “my balls was hot”. Peak “Black Beast”. The rest of the interview was pure gold, and after Joe Rogan commended Lewis on his Instagram game, the Houston native found his followers doubling to over 1 million. Now thanks to the UFC’s incessant need for a belt buckling to end a broadcast, Derrick Lewis has found himself in a title fight with DC at UFC 230. Interestingly, Lewis specifically mentioned in his post-fight interview that he was in no way prepared for a title fight, so he was rewarded with a title fight in three weeks. Honestly, if Lewis was going to get a title fight it was going to be after taking an arse whipping for three rounds before coming back in the third, then giving a hilarious post-fight interview where he undressed – specifically talked about how he didn’t want a title fight – then stepping in on three weeks’ notice to take on Daniel Cormier. He’s the hero MMA needs but not the one it deserves. There’s just too much ufc? In all seriousness this is concerning. The UFC have overbooked themselves to the point that they need to grab a fighter a day after a brutal fight to main event an event the next month, for UFC 230 at MSG of all places. It’s almost as if more divisions would help, but no one’s talking about that so I guess I’m crazy. Is this a smart move for Lewis? Probably not, but it fits perfectly with his persona. A fan favourite for his colourful personality and excellent sense of humour, but also for his heart and guts, despite not being the most technical fighter. In a way it’s smart for the UFC to capitalise on his newly expanded popularity after 229’s estimated 2.4 million buys. But if it’s going to adversely affect his health is it worth it? Is Derrick Lewis going to be at his best for this fight? He can’t be, not after Saturday night. Hopefully the event is a success despite the build-up. Maybe Lewis is the next big thing. His post-fight interview at 229 has 2.6 million views on YouTube which is massive for a previously unknown fighter. Wouldn’t it have been great to have had a serious build-up? To have gotten the “Black Beast” out there in the mainstream. It could have proven new pathways for fighters to make names for themselves without the machine behind them. Lewis did it by just being effing hilarious all the time. Even if Lewis would have lost, it could have given DC a nice rub. Maybe thanks to oversaturation the UFC could be sacrificing a new star in a panic booking. 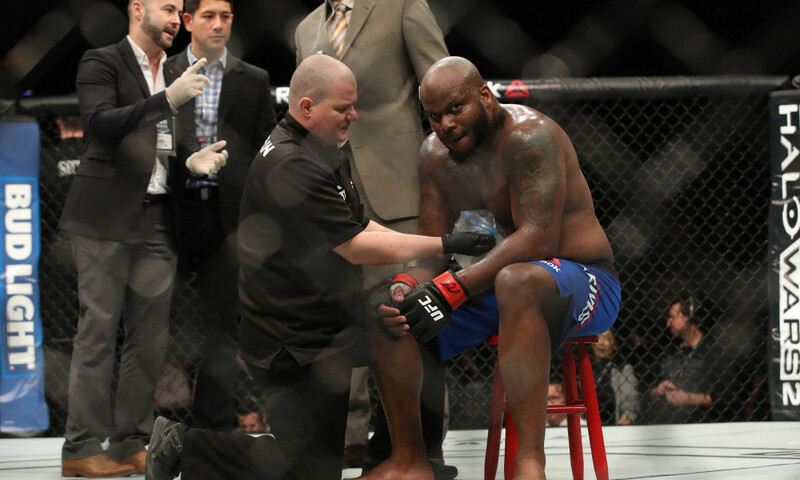 I hope that isn’t the case, and in spite of a win or loss Derrick Lewis can capture the hearts of the people.